Formed in August 1944, Jagdgeschwader 7 was equipped with the revolutionary Me 262 jet fighter, which was faster than any aircraft in existence at the time. This unit experienced all of the highs and lows associated with the introduction of such a radically new design. 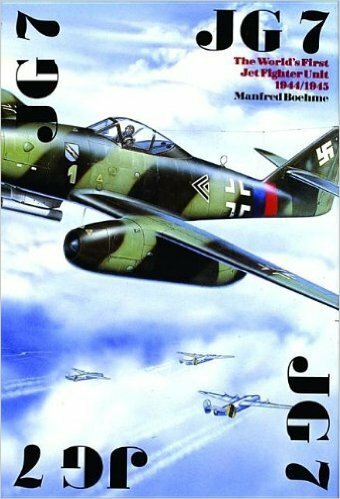 Thus the history of JG 7 is also the story of the Me 262, and inspired design which broke new ground in many areas of technology, and for which there was simply not enough time for thorough development. The pilots of JG 7 frequently had to make do with improvisation and faced a numerically far superior enemy in an aircraft which was technically immature.Manfred Boehme has collected many documentary sources including first hand accounts, technical records and photo archives - many of the 150 photos are published here for the first time.